The 8ML series of latching sub-miniature pushbuttons from Dailywell are single pole switches with double throw operation and latching action. 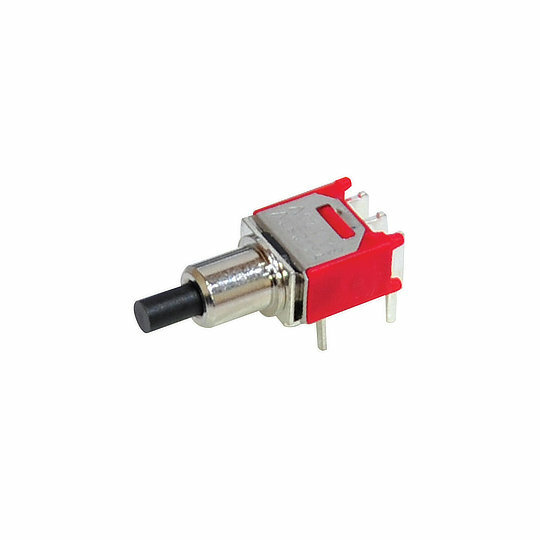 Electrically rated to 3A at 120VAC/28VDC, 1A at 250VAC and 0.4VA at max 20VAC/DC (gold terminals) with an electrical life of 6,000 cycles. Available with solder lugs, wire wrap and straight or 90° angle PC thru-hole terminals in silver, gold over silver or gold terminals. The 8ML series also has a choice of 9 button colours giving designers more choice making it perfect for applications such as Audio-Visual Equipment, Computer Peripherals, Instrumentation, Networking Equipment and Telecommunications.